Our MIG awareness sessions will provide your users with the knowledge they need to get the most out of the Medical Interoperability Gateway (MIG). The sessions are designed to improve the knowledge and understanding of the MIG and increase the adoption of the service in your organisation. Our experienced staff will deliver the sessions to explain the benefits and ensure the services are used to their maximum potential. The sessions will provide an opportunity for clinical staff to ask questions about MIG services. What is the MIG? – An overview of Healthcare Gateway, the MIG and the services offered. How does it work? – An explanation of the technology used for the MIG. Consent – Details of the MIG consent model and how the audit works. Case studies – Examples and feedback from other end users regarding how using the MIG services has impacted their role. How is the MIG used in other areas? – Examples demonstrating how MIG services are being used in the surrounding areas and other settings. Reporting– Information about the reporting functionality provided by Healthcare Gateway to our users. Coming soon – An overview of new products, services and enhancements that are due for release that may be relevant to your users. 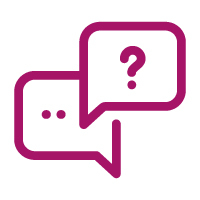 Q&A – An opportunity for your users to raise specific queries with our experienced staff and address any issues regarding MIG services. The one to one sessions run for a full day and users can drop in at any point to speak with a representative form our team. This session is delivered to a whole group of users at once (maximum 30 delegates). This would take approximately half a day.